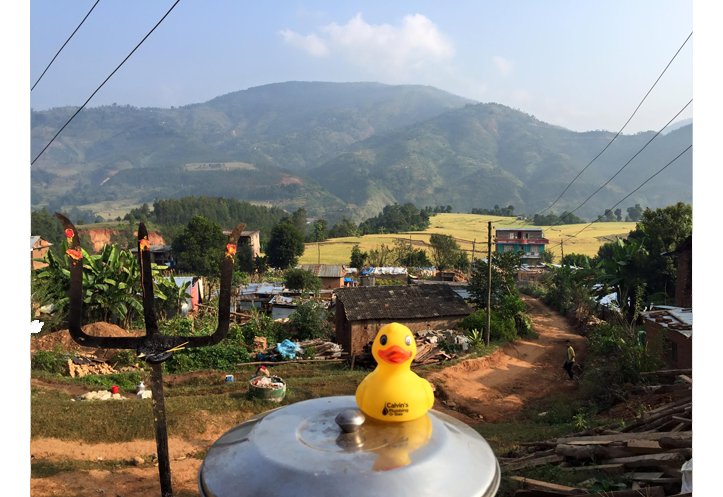 Plumber in Joondalup: Rubber Ducky checking in from Nepal! So good to hear from my sister Sarah who’s helping out with the rebuild in Nepal. She even took the time to post some brilliant ‪#‎calvinsplumbing‬Rubber Ducky pics in our Photo Contest! Thought I’d share in case you’re not on our Event so maybe wouldn’t see them – they’re incredible. Thanks Sarah.